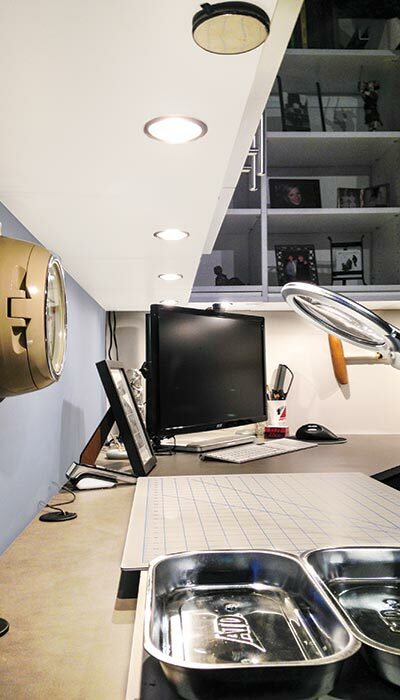 Closet Works professional designers are experts at converting under-utilized areas of the home into beautiful spaces that add functionality and value. 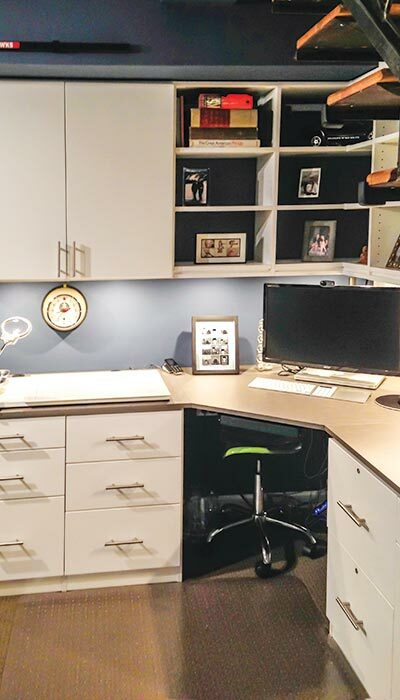 In this example, a new room was carved from under utilized space under the basement stairs and filled with custom home office storage ideas to fit this client's unique needs. 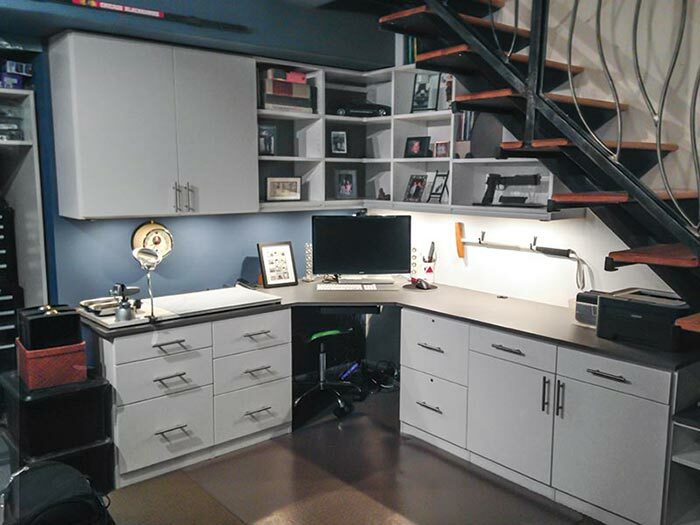 This home office functions as the ultimate man cave, with areas allocated for both work and hobbies. 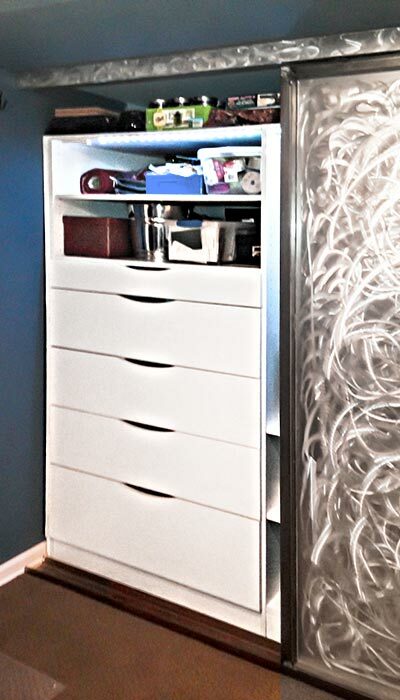 Cabinets and shelves are fitted into the angled stair tube spine, maximizing available storage space. 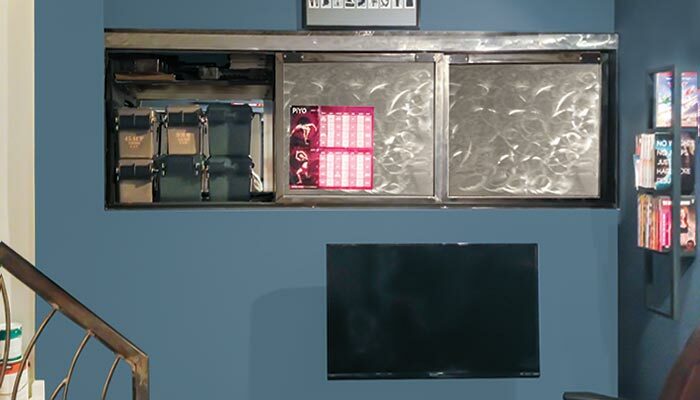 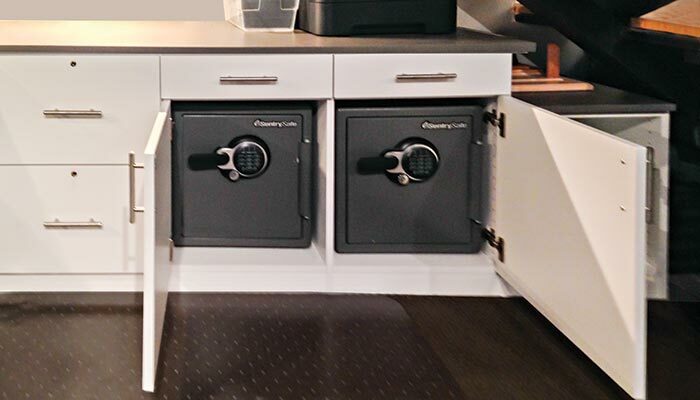 A custom cabinet conceals two safes for valuables. 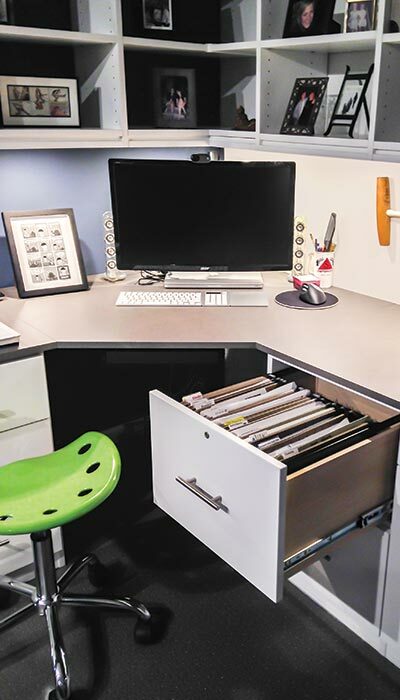 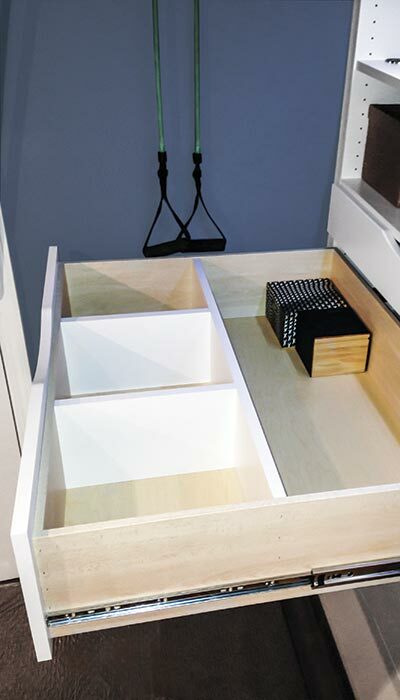 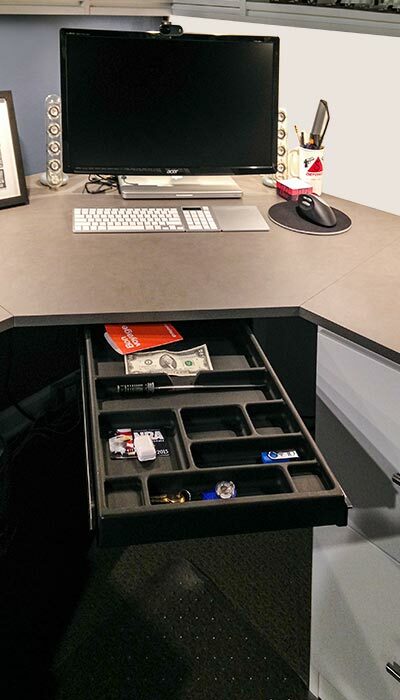 The corner desk includes an under-mount pull-out pencil tray and lockable file drawers. 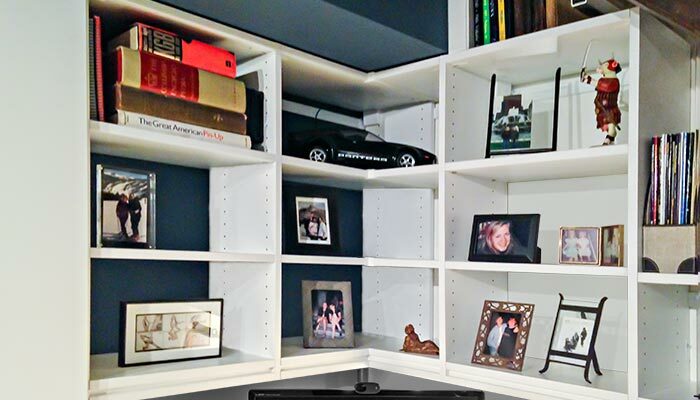 A recessed, built-in wall cabinet was outfitted with new shelves. 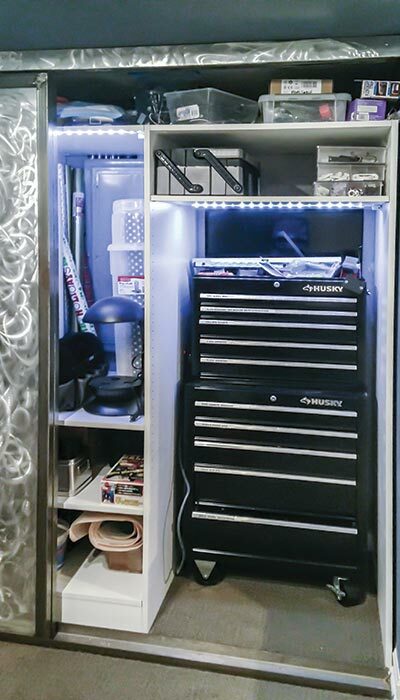 A new reach-in storage system was added under a soffit and behind existing sliding doors. 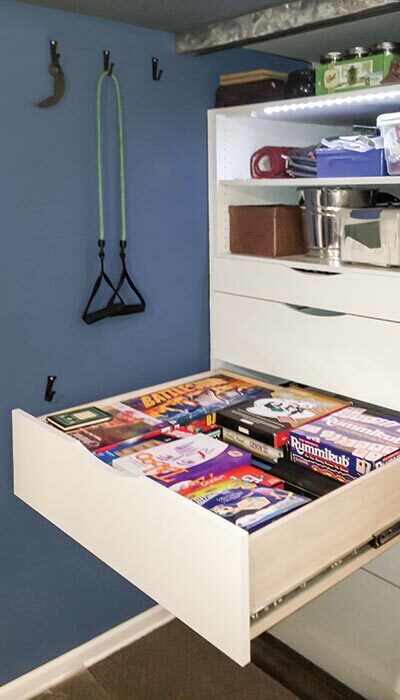 The reach-in closet is outfitted with lighting, plenty of drawers containing custom dividers to handle videos and multi-media storage, shelving and a hanging rod for future use. 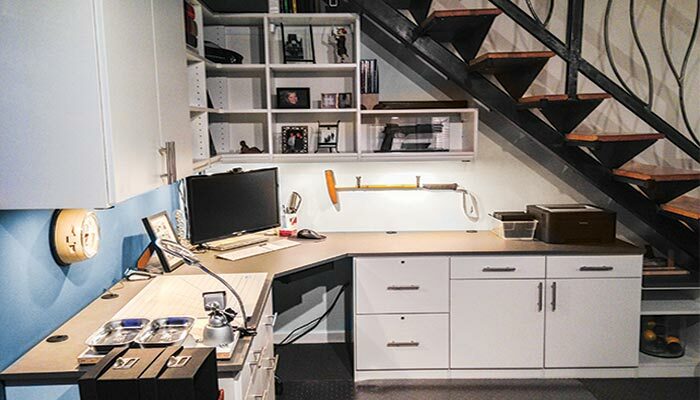 Outfitting this Man Cave with custom office storage ideas, as well as specific places to house his hobbies, created a new room out of an old unused corner — increasing both the functionality and value of the space.